Sky Creation embraces eco-friendly processes to minimise carbon footprint in our environment. We go to great length to achieve this, implementing measures and initiatives to facilitate sustainable work process. The launch of our Lohas Project Engineering is one such initiative that fuels our eco aspirations. 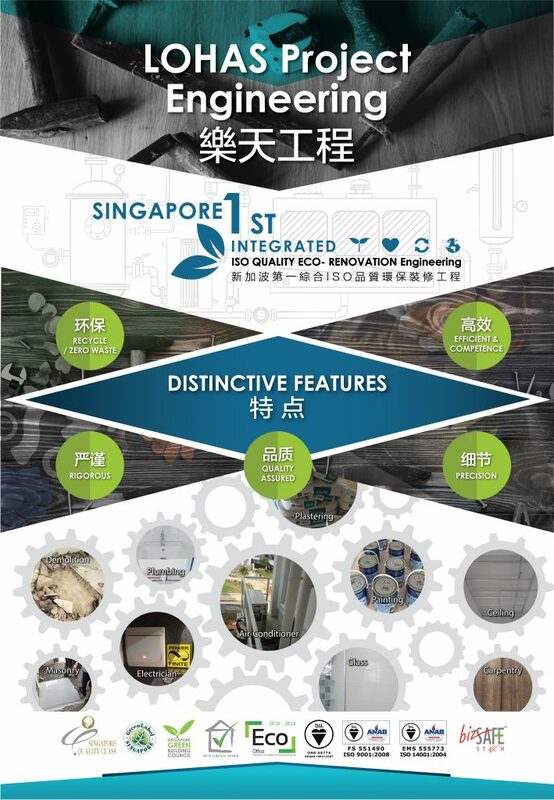 This has led us to become Singapore’s first integrated ISO-quality eco-renovation engineering firm. Through the following activities, we establish our eco-friendly position in the industry.